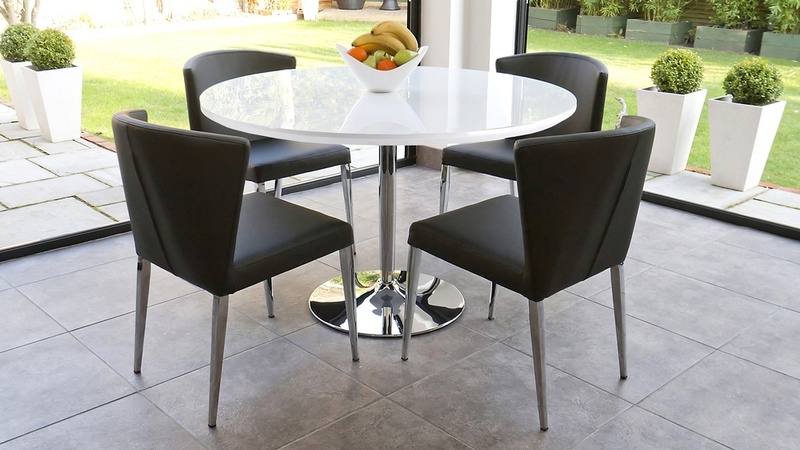 If you are looking for a simple and effortlessly modern design of dining table, the Naro Round 4 Seater White Gloss Table might just be what you're after. This polished and well proportioned dining table is perfect for smaller, more intimate family meals times, creating a space for you all to sit down and catch up on the day's events. 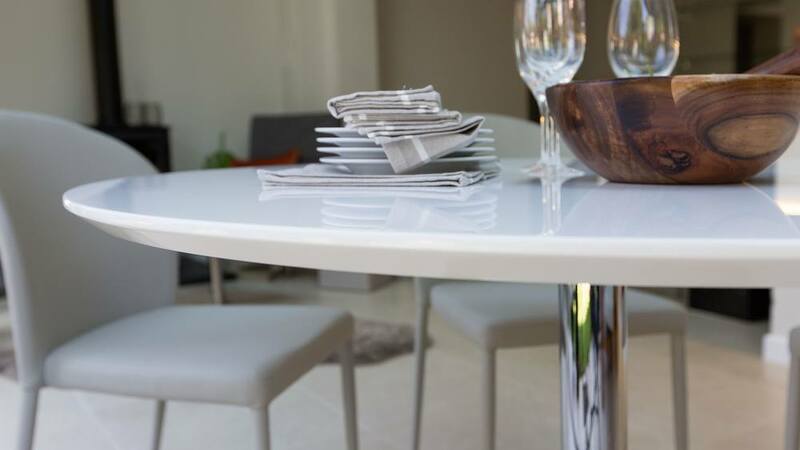 With its rounded white gloss table top and contemporary space saving pedestal base, the Naro dining table will definitely be both a practical and stylish addition to your dining area. 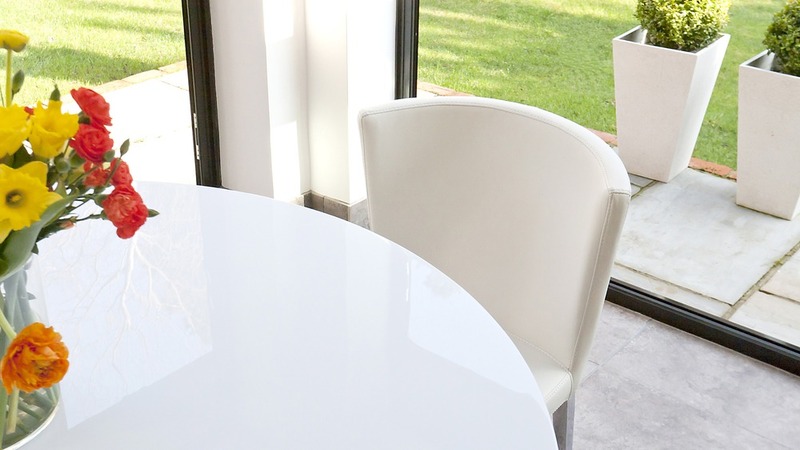 The finish of the Naro table is a high white gloss. This is such a versatile and tactile finish as it works effortlessly with a range of different colours and material finishes, making it incredibly easy to place alongside existing designs in your home. One of the great features of white gloss is that it gently reflects light throughout your room, helping to create a bright and spacious feel. 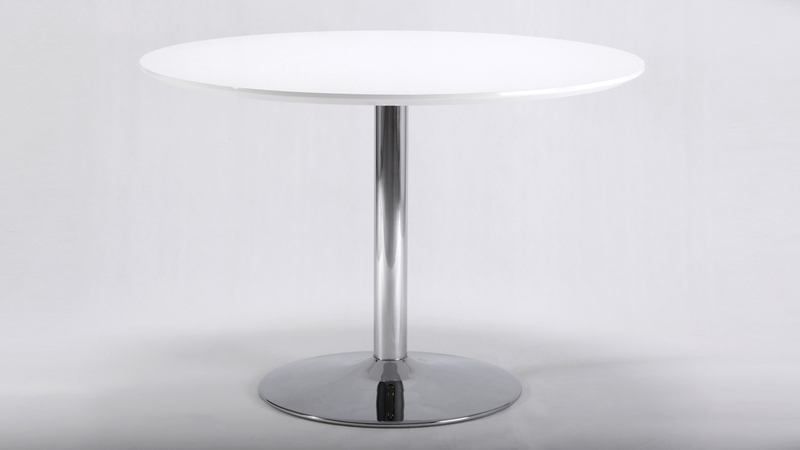 The white glossy table top measures 110cm in diameter, comfortably seating up to 4 people. 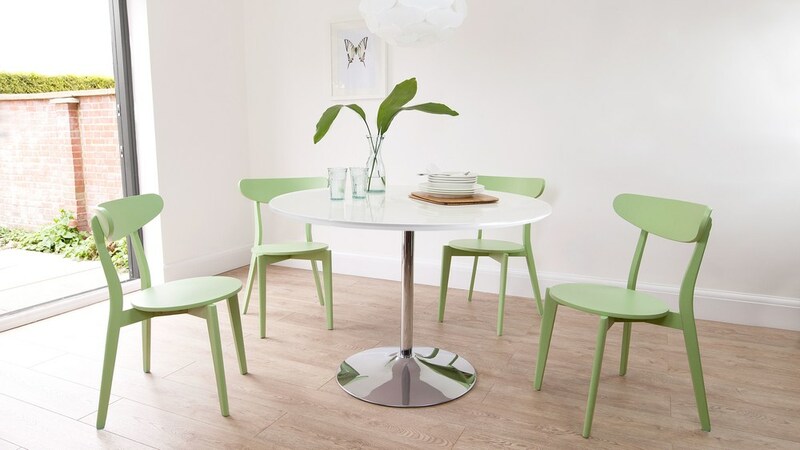 Round table tops are great for creating a cosy and communal space, meaning this sizing is perfect for everyday family dining, without having a dining table that occupies too much space. 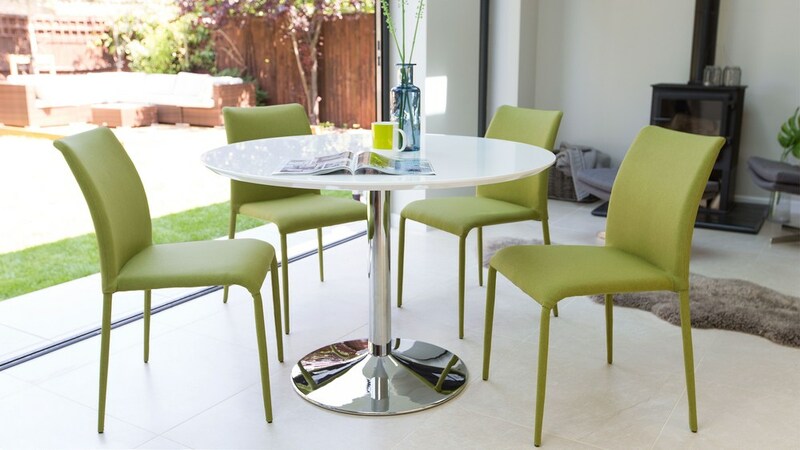 A round table top is also ideal if you are placing the table where people will be walking around it a lot, as the round shape saves on space and allows your chairs to neatly be tucked in. The trumpet shaped pedestal base is finished in a shiny chrome. This style of base really opens up the area around the table and creates an overall slim and minimalistic appearance. It also allows for ample leg room as there are no table legs getting in the way. The Naro's table top is 3cm deep with a 30mm chamfered edge. This keeps the table looking streamlined and neat, with the chamfer adding a real touch of designer detailing. 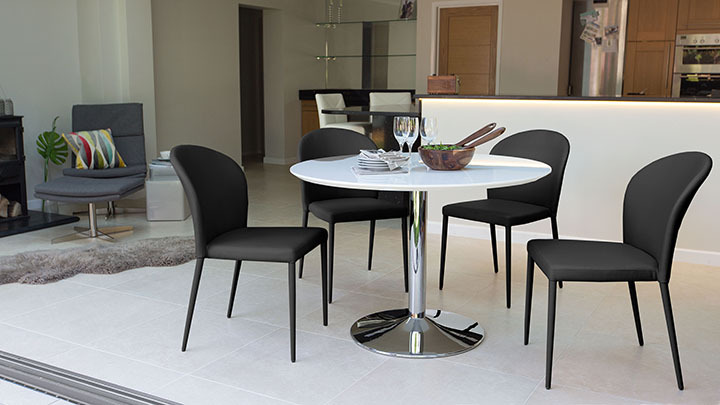 For a really sleek and contemporary look, we suggest pairing the Naro Round 4 Seater White Gloss Table with our Santo or Riva stackable dining chairs. If you are after a different table finish, the Naro table is also available in the form of the Naro Round Glass 4 Seater Table. There are also a whole collection of different table sizes in the Naro range.